"The Windows came out great and look equally as nice! Thanks for a job well done as always." "Excellent service provided. They showed up on time and they were finished when they said they would be. Workers were courteous and professional. We obtained 3 estimates, they were the lowest bid." DiMartino Home Improvement, Inc., a family business since 1949, was originally started by Joseph DiMartino. Today, the business is now owned and operated by Joseph's son, David DiMartino. He started learning the tricks of the trade at a very early age, and Joseph always expected 110%. David, now grown, follows those same standards. With the goal of providing extensive window and door product installation services to customers in the New Haven area of Connecticut. He has earned Master Craftsman status, Window and Door Installation Master Level RLC-1 Installer, and a five star contractor rating. 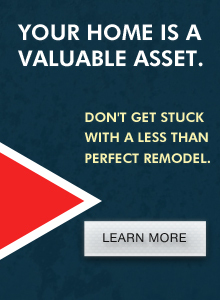 DiMartino Home Improvement has established a reputation for quality, dependability, attention to detail and an honest value. He is also a member of the Better Business Bureau with an A+ rating. David believes in offering high quality products at a fair price, as well as excellent installation from certified trained installers who are honest, professional, and always maintain a clean work environment. We are one of New Haven counties only 5 star green rated contractors. Joseph and David's beliefs and exceptional work ethics hae allowed DiMartino Home Improvement, Inc. to be in business for over sixty years, and they plan on offering their top of the line services for many years to come.